Nintendo has revealed its next Spirit Board event for Super Smash Bros. 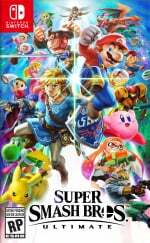 Ultimate will begin on 18th January. In a post over on Twitter, the Nintendo Australia and New Zealand account explained how the three-day event 'Fire Emblem Fest Part 2' will give players the chance to acquire even more Fire Emblem spirits. As noted in the below tweet, some of these spirits in part two are different from the ones that appeared in part one. There's also plenty of gold and more spirit points than usual up for grabs. The 3-day Spirit Board event "Fire Emblem Fest Part 2" begins on 18/01! 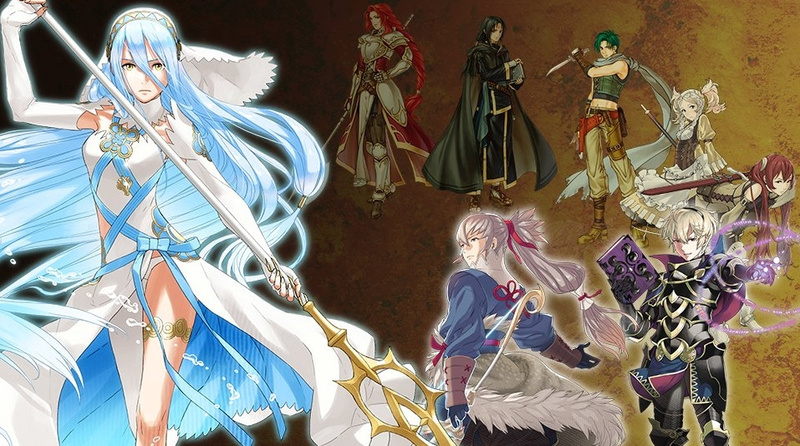 Spirits from the #FireEmblem series are back, with plenty of gold up for grabs for beating them! Did you participate in the previous Fire Emblem Spirit Board event? Will you be taking part in this one? Tell us in the comments. Can’t wait for the inevitable “Pokémon Palooza” parts 1-3! Shall keep waiting for them to introduce some new Spirits a`la the Super Mario Party ones. Plus they still have to put Partner Pikachu & Eevee into rotation. Yay! I can fail once again to unlock my favorites! @rushiosan - I have seen this for literally every game that isnt a MOBA as of late. What were you expecting from online outside the expected PvP? Have all 1302. Will play more when they add more. I've collected all spirits except the partner Pikachu/Eevee exculsives, so these events really don't hold much for me anymore, which is a shame. I suppose I can always bust out the amiibo collection and start force feeding them all my extra advanced spirits. @Paraka Before I get replies saying I should go out and buy an adapter, I'd like to remind that's their third home console (since online multiplayer is available) without an ethernet port. Brawl's online had issues, SSB4's online had issues, but inexplicably they keep pushing that on us, saying the adapter is the solution. @ilikeike I hope at least 2 of the upcoming fighters are from Fire Emblem series, they're so scarce. @rushiosan might be your internet. I’ve played online plenty (over WiFi) and it rarely lags, and (since much of the time I’m in arena battles) I can usually identify the player with the poor connection and remove them from the room, problem instantly is fixed. Of course, if you’re saying that your WiFi isn’t stable, then that’s understandable, it’s a shame there’s no Ethernet port on the dock. But I would say that’s a flaw in the hardware, not the game. The game runs quite smoothly if the WiFi connection is fast enough. Though once again, the Switch dock really should have an Ethernet port, not everyone has great WiFi and, I mean, this IS the first Nintendo console where we’re paying for online play. The hardware should be designed with that in mind. @rushiosan - Honestly, I was expecting something about "something something progress" when I read your statement. Since that is what I keep hearing about Mario Tennis having "shallow multiplayer experiences." I mean, I can understand your claim with the Wii U and its predecessor. However, I feel like the Ethernet port was going to be something widely unused on such a portable device it'd be a wasted development no matter how much we all will say something about options are always being good. @rushiosan I can't think of anything that would make Smash fans happier! You would think Fire Emblem were at the same level as Mario and Zelda considering how much attention it gets in Smash Bros.
@Majora101 You should see its popularity in Japan. I'm pretty sure it's making more money than Zelda there. Ok has it started yet, HAS IT STARTED YET?! @RainbowGazelle Thats why its "Roy's OUR Boy!" And why in America "We like Ike", see? I have 1300, just missing the two Let's go spirits. I am leveling the rest all up to 99 now. I just have one challenge left, the 300 quickplay matches. I didn't bother using a hammer for it since I figured I will get there anyway. I can't even remember what I used the hammers on since you couldn't use them on the hard challenges. Tedious stuff like the ten battle arenas I guess.